Beginning Sunday, January 6, 2019 we will return to our winter schedule of two services, 8:30 and 10:15 a.m.
Children's Sunday School begins with the 10:15 a.m. worship service and following the Children's Time, children are dismissed to Sunday School classes until the end of the service. The Nursery is available for children through age 5. It is in Room 205 in the Mase Education Center. For service video archives, please click here. A service to mark the beginning of the Season of Lent and for the imposition of ashes. The service is held at 11:30 a.m.
A service of candlelight in recognition of the Last Supper with Holy Communion. The service occurs at 7:00 p.m. on the Thursday before Easter. A somber service of music and meditations held at 12:00 p.m. on Friday before Easter. 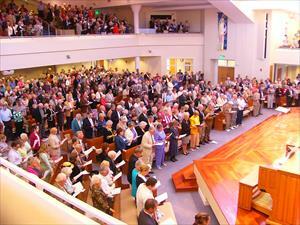 Three worship services are offered to celebrate the Resurrection. Sunrise service is held in outside the courtyard at 7:30 a.m.
Two services are held in the Sanctuary at 8:30 a.m. and 10:15 a.m. The Naples Chamber Brass performs at both services in the Sanctuary. An annual service held on Reformation Sunday, the last Sunday in October, featuring the St. Andrew's Society as they carry 40 tartan flags in a great procession led by the uplifting music presented by the Harp and Thistle Band. A warm and welcoming service held at 11:30 a.m. to give thanks for God's gifts. Two worship services are offered. The family friendly service is held at 5:00 p.m. and includes a special children's message and hymns for all to enjoy. 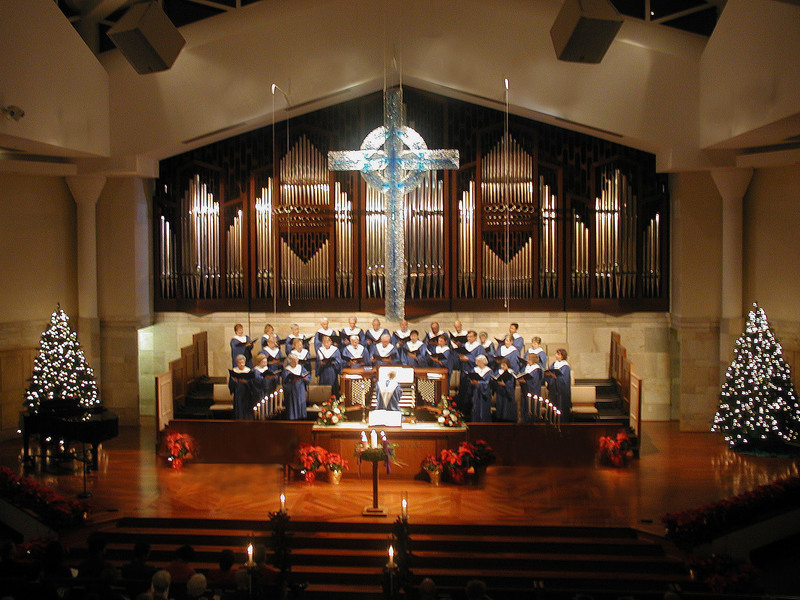 Traditional candlelight worship is held at 7:00 p.m. Special music with the Chancel Choir and soloists begins at 6:30 p.m.